I’m the person who has written all these wonderful, random, sometimes too in depth articles for you to read. I’ve always loved writing, and I’ve recently become a Mommy so I thought, what the heck, why not start a blog! I became a Mom on January 5th, 2017 and my life has forever been changed. I was 20 years old when I found out I was pregnant and spent my 21st birthday with a belly that was ready to burst. 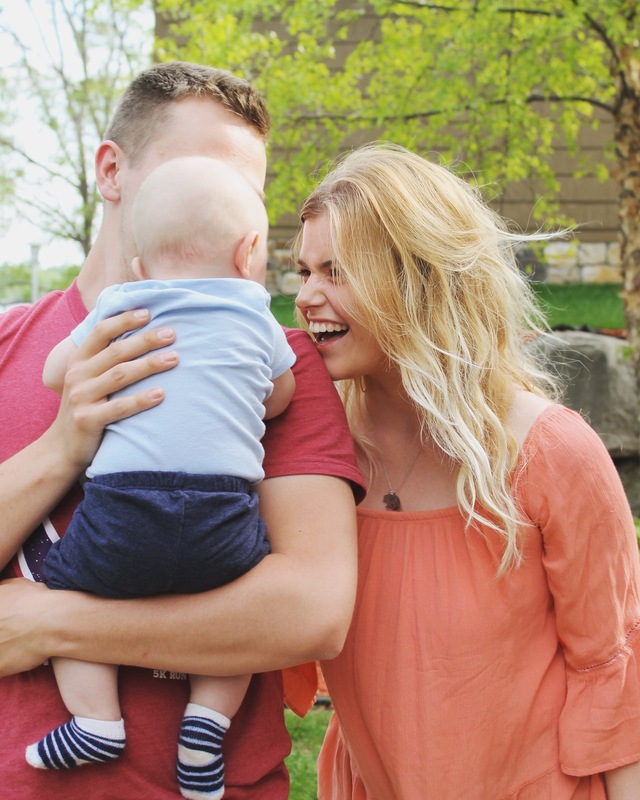 I’m young (you already know that though) and even though I am a Mommy to my little Finley, I still love doing lots of things that people my age are experiencing. I’ve always loved traveling, I hope to someday move somewhere near the ocean but also be surrounded by mountains. I’m a big runner. I hope within the next two years to have run a marathon. Nothing beats a good beer and slice of pizza. Coffee is what gets me through the day, especially with this hectic life I’m living. I love taking pictures and documenting my life. And, though it’s super random, I love to clean and have a spotless home. I love dressing Finley up in the cutest most embarrassing outfits. You know how I said I love photography? He’s my favorite subject to capture. He’s bottlefed. While I wish breastfeeding would have worked out, as long as he’s eating I’m content. He loves snuggles, bath time, and being sung to. He hates getting his diaper changed and getting dressed. If he could be naked 24/7 he’d be as content as I am with a beer and slice of pizza. His eyelashes are longer than mine… no fair. He’s the most perfect little human to have ever been born and I’m the luckiest mama alive. Now that you know a little bit more about the person who’s entertaining you, go read some more! And thanks for stopping by.